ROI – What we can bring to your practice! As we all know, the schedule is the hub of your practice. If it’s full, you make money. If it’s bare, you don’t. Our primary goal and center of focus is getting, and keeping, your schedule full – Not only by building up your back pockets with a useful short call list, and padding the schedule months down the road, but by also supporting your team with implementing and utilizing strategic systems that they help create and take complete ownership of. 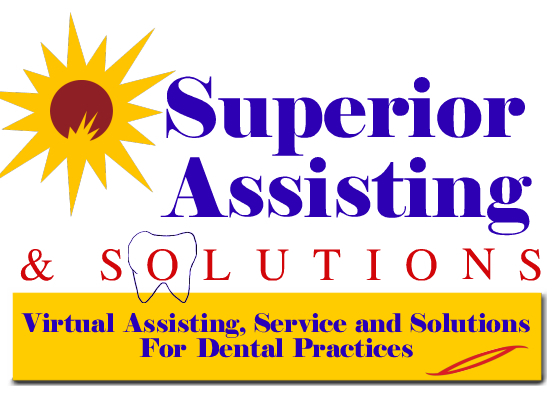 Superior Assisting and Solutions offers many ways to assist your practice. We offer coaching support with your front desk and hygiene departments, working hand in hand with them on implementing the systems, protocols and enthusiasm needed to achieve the goals of the practice. We also offering virtual assisting and support – meaning we actually jump in, hands on to accomplish the necessary tasks to help us reach our final destination of consistently meeting, or better yet exceeding, daily practice production goals. When we first welcome your practice to the Superior Assisting and Solutions team, we take the necessary time to understand the dr., the mission statement and core values, the fundamental employee track, and each individual within the practice. We want to know where you are, where you want to be, and how you see getting there. There are no cookie cutter strategies to implement; our strategies are tailor made for your practice. Your ROI will impacted immediately. Tightening the reins on no shows/late cancels, book review, implementing list strategies for effective communication which leads to scheduling, perio programs, morning huddles, looking for missed opportunities, accountability and so much more – all of these “cogs” are in the “big wheel” picture. We not only address them all, but we help create a system within your practice so that all “cogs” will be used consistently and acknowledged daily. We help your practice worker smarter, not harder! We can support your practice with our virtual phone coverage services. Never miss that new patient phone call again! We personally answer your phones when your practice is out of the office, whether its regular days off of the week, vacation, on lunch, or even if your front desk has called in ill. New patient intake, scheduling, insurance verification and packages. We strive to make it so your practice only has to shake the new patients hand and personally welcome them to the practice, of course representing you and your practice in the most positive and energetic way! We are a complete support system for your practice and front desk. How many Mondays have you walked into that completely had completely fell apart, because your practice is closed from Thursday afternoon until Monday morning, you have 10 messages of cancellations and noone working to fill them? We have worked and managed the front desk, we know what it’s all about. We know sometimes there just isn’t enough time in the day to efficiently process all of the systems that need processed for optimum schedule health! We get that, and that’s why we do what we do. Most practices don’t want to add, and can’t afford another full-time employee. Beings we are self-employed contractors, there are no payroll taxes to take care of, no 401K , no vacation pay, no sick time. We work when you need us, when you want us. We don’t require long-term commitments from you, although you will always get one from us! With our extensive dental practice experience, your patients will have no idea we are not sitting in your practice. We answer the phones just as we would if we were sitting in your office – We take our role as an extension of your practice seriously! We can also take care of outbound phone calls, working your recall, unscheduled and undone tx lists, personal reminder calls, soft collections, billing/statements, newsletters and much more. We really do make your work easy, and make your life better! Deb is our resident RDH guru and is a practicing hygienist. Deb has years of RDH experience, is laser certified and consistently exceeds $250,000 in annual production. When you couple this with her years of front desk and dental office management experience the results are phenomenal. Deb doesn’t look at a hygienist as “just a hygienist”; she is her patients coach and life guard. She approaches patient care in a whole different light and strives to partner with your hygiene team and patients for the benefit of the patients overall health. Deb combines patient caring and education, with promoting the best of oral health while utilizing her talents and skills to zone in on “what’s missing”. Virtually she can assess your hygiene team, patient charts, and hygiene schedule including production goals, and offer the most honest, complete and practical answers there are. Her knowledge and instillation of a stellar periodontal program combined with the perfect hand-off to your front desk will improve the health of your patients and immediately increase your production numbers. Simple changes in systems and protocols, encouraging hygiene growth both for the patients and hygienists is her mission. Deb offers complete support to your hygiene team, and works along with them every step of the way. She offers guidance for appropriate responses to common patient inquires and fine tunes them to each individual hygienist. You don’t want “scripted” answers coming out of everyone’s mouths, yet you want your whole team to be on the same page. Deb’s superb communication skills also come into play with her proven capabilities of making personal contact with your periodontally challenged pts; inspiring and educating them to accept and enroll into your oral hygiene tx programs. She puts patients on the schedule! This beneficial one on one communication results in optimal pt oral health, as well as positively impacting your ROI! This all sounds pretty great doesn’t it? We, just like you, get the question all the time of what are the fees? We liken it to a new patient calling in and asking “How much would you charge to fix my teeth?” without ever having seen said mouth. You can quotes fees and be done with that call forever, or can invite the patient in for a comprehensive exam which allows your practice to offer not only the best dental care, but the best patient care by showing your value and why your practice is different. We too could quote generic fees, but without thoroughly reviewing where you are, and where you want to be, we wouldn’t be doing you any justice. We believe that each practice out there is unique unto itself, and each practice has different goals and visions. These are what we work with. Saved hundreds of open appointments and dollars when answering phones by working recare, unscheduled and undone lists and filling these appointments – not to mention our new patient intake when noone is even sitting in your practice! Increased positive practice reflection with our superb, friendly phone skills, and believe it or not, we actually build rapport with patients over the phone! Don’t take our word for it! 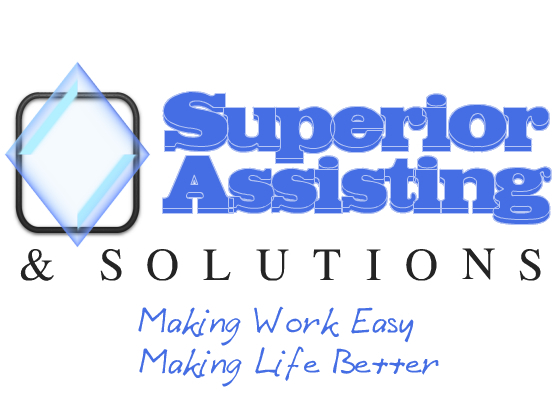 You can go to our website at http://www.SuperiorAssisting.com and read a few testimonials. You can also feel free to contact us for a complimentary call – You can ask any questions, pick our brains, and see for yourself what we are all about. We would welcome any opportunity to speak with you with absolutely no obligation. We love what we do, and it shows. We want to be part of your solution. What we do is new. We are doing it NOW. We do it with excellence!